Some organisations will have concerns and questions surrounding maintenance, security and resourcing when it comes to using a cloud hosted application. However, there are many benefits to our SaaS structure that can alleviate those worries. Invotra in the cloud means that updates, upgrades and new features can be added without interrupting your service, and without diverting your resources. Our product is hosted on Amazon Web Services. 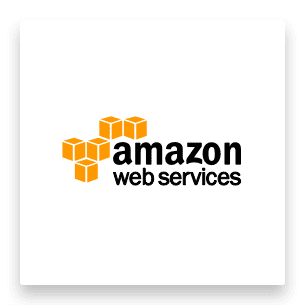 There are many benefits to using AWS. Firstly, cloud security is their highest priority. You can always rest assured that we are using an extremely secure hosting platform. Secondly, AWS is scalable and high performance. With their auto-scale and elastic load balancing features, AWS adapts to your needs. As a customer of Invotra, you will always have our full support. We have a dedicated team that are centered around ensuring our customers are consistently happy and supported. Our package comes fully hosted, fully managed and fully updated. This means that you never have to stress about managing the technical aspects of our product, you are simply left to enjoy and manage your intranet. We are always there to quickly and efficiently assist with any inquiries and address any queries. Open source technology is fast becoming the chosen option and the driving force in technological innovation. 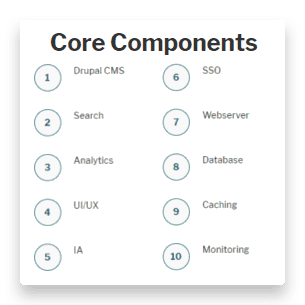 By using systems such as drupal, your users can easily manage and control a huge variety of features and functionalities. Webmasters can change the layout, look and feel of the intranet to suit your organisational wants and needs, whilst editors can use content management and publishing features with ease. Our open source stack SaaS platform (with open interfaces and Single Sign On) is secure to IL3 for UK Government risk assessment. Maintaining a positive user experience is extremely important to us. Any upgrades, product enhancements or bug fixes that are going to be deployed are carefully managed around your business operating hours. Our service level agreement provides you with a secure, stable platform, working securely across Government secure internet (GSI) and Public Services Network (PSN). Be reassured you can upgrade, scale and maintain with ease, relying on our dedicated UK based help-desk, server maintenance and through monthly service reviews and lifecycle commercial management. At Invotra, we are extremely proud of our product and all of the features, functions and capabilities that it holds. However, we also recognise that there is always a way to improve and evolve. We have several teams that work tirelessly to make our product the best it can be. The technical team are ensure that our product is secure, stable and resilient. The product team strive to be innovative, constantly thinking of ways to advance our product and making those ideas a reality. Enhancing features, designing new applications and carrying out user testing regularly takes place at Invotra. Our customers have a dedicated Account Manager who will discuss all updates and relevant information with your Intranet Manager. We release software updates every two weeks that take place after close of business so that your working day is not affected. The Invotra Platform is a world-class and proven open-source technology platform that supports the Invotra Product application layer. It provides all the core components that our customers need to use in order to build in-house or use 3rd party applications that are seamlessly integrated with the Invotra application. 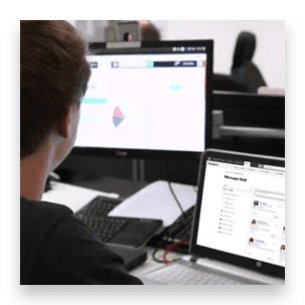 Comprised of a rich stack of open source software that is constantly pushing the boundaries of performance, security and stability, it provides the perfect environment to enable rapid, stable development deployed into your enterprise. The stack utilises a wide range of applications such as SELinux, Drupal, Solr, Apache, Memcache, MySQL, Nagios to provide the perfect delivery environment all built on a secure cloud infrastructure.